The merit function is calculated from residuals as described elsewhere, and the residuals are calculated by objects called meritoids. 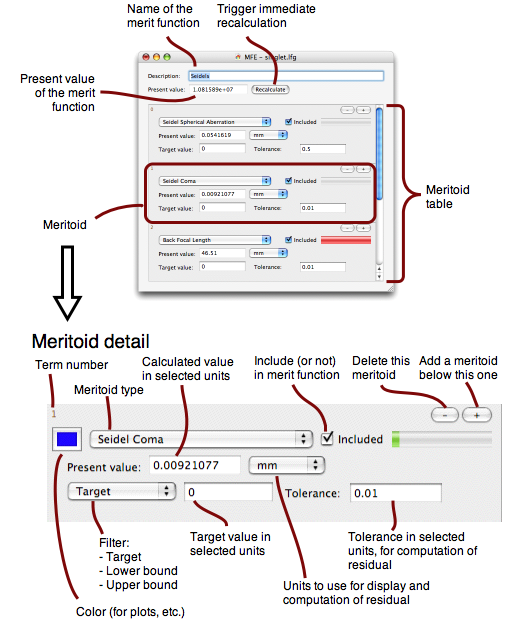 The merit function editor lets you assemble a merit function from meritoids. Below is an overview of the merit function editor window, indicating the various features.